Tuesday 28th June at 1.45pm. 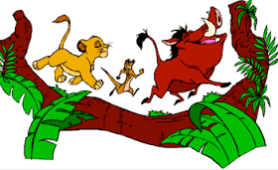 Leavers Play – Lion King. The children will be provided with a t-shirt, and are busy making their own masks; but they will need to bring from home a pair of either black trousers, black tracksuit bottoms or black leggings. Please ensure these are labelled with your child’s name. Thursday 30th June – am. We are taking the leavers bowling. As you have already signed permission for your child to go on local visits you do not need to sign anything else. Children may bring up to £2 to get a drink. Most of our Y6 pupils leave our school. Pupils begin at Winterhill Comprehensive. Children or parents may come to school throughout the day to collect SATs results. Pupils – Good Luck as you embark on your new adventures.